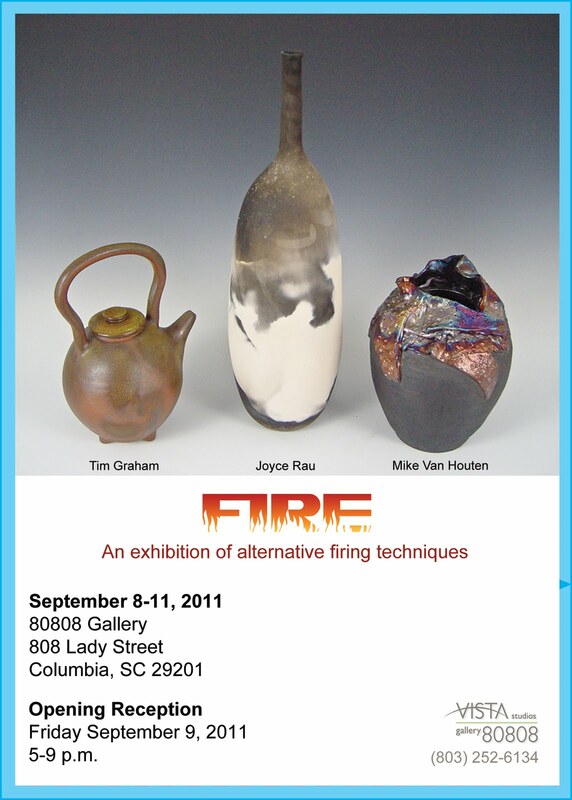 Fire is an exhibition of alternative firing techniques. 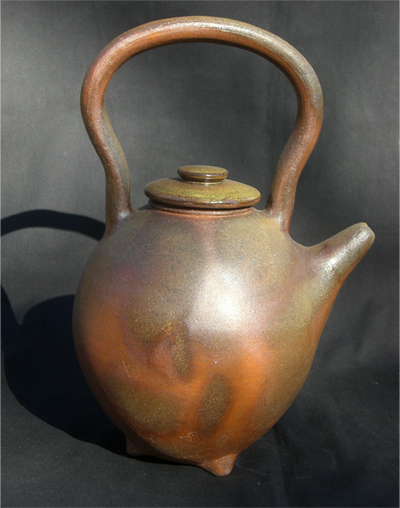 A wide range of alternative techniques will be on display including saggar firing, sawdust firing, woodfired stoneware and porcelain, raku, and others. 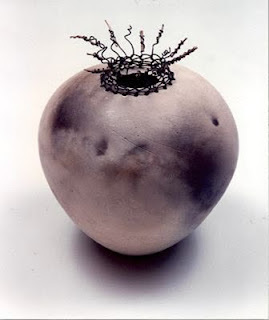 Mike Van Houten, Joyce Rau, and Tim Graham create ceramic works that directly involve the use of fire in to enhance the surfaces of their works generating results that are beyond the scope of electric and gas kilns. Using fire in this manner involves a great deal of risk. The range of variables involved are much greater than those with which the artist has control. 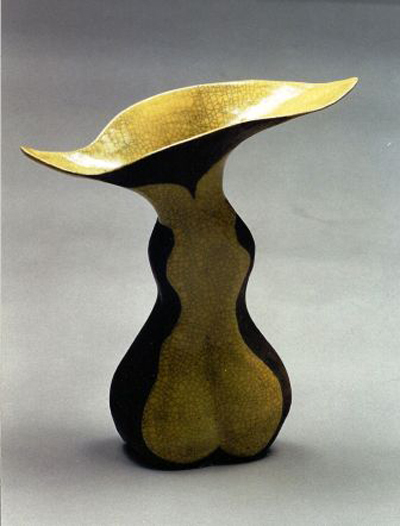 A range of consistency is possible; however details and nuances are elusive. It is the balance between the two that makes for the excitement and fulfillment. The greatest rewards are often the result of the greatest risk. 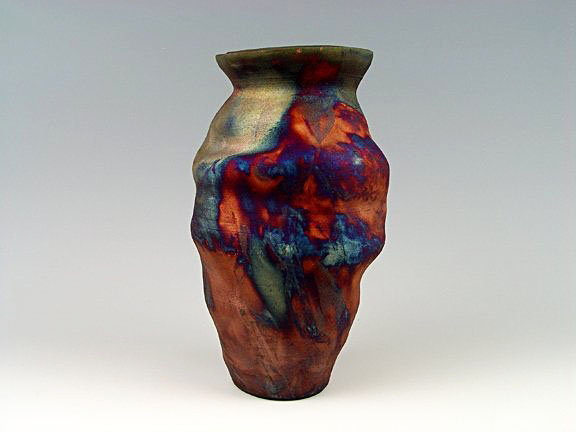 Mike creates raku, saggar, horsehair decoration and other alternative processes to create his work. 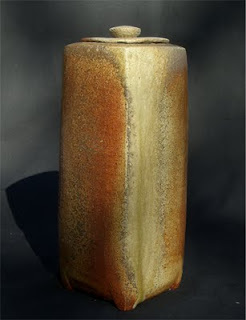 His work is primarily wheel thrown, at times incorporating slabs of clay to create contrast. 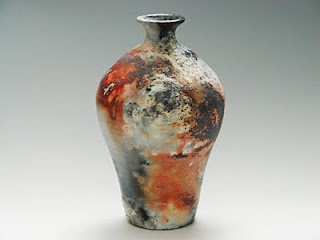 He has invested greatly in developing his copper matt raku glazes often achieving beautiful contrast between the carbon black and iridescent glaze. Joyce utilizes the sawdust firing technique to finish her works. 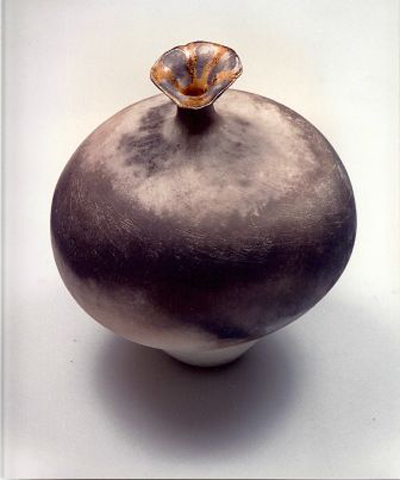 Her large bulbous vessels are created very thinly layering strips of clay slabs. 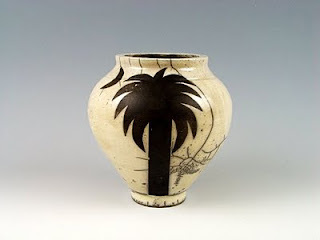 In some works she creates contrast with the random patterns of carbon created by burning sawdust by applying stains or previously fired glazes. Tim uses a kiln fired with wood to enrich the surfaces of his vessels. Using stoneware, porcelain, glazes and slips, the works are fired to a high temperature creating opportunity for the ash and flame from the burning wood to interact with the surfaces. 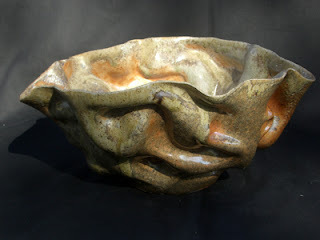 He primarily creates wheel throw peices, occasionally slab formed ones.